Use this block to add a stylized horizontal divider line for the page, which can serve as a separator for page blocks. 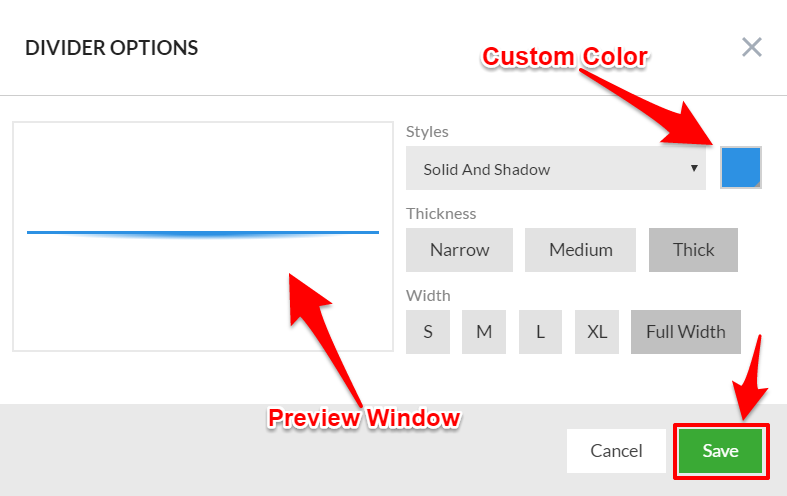 You can adjust the divider Color by clicking the color swatch and selecting your custom color or by entering in the exact color code. A Preview of the divider can be seen directly in the Divider Options preview window.